Category-rated performance with assuring reliability and a foundation for future network growth. 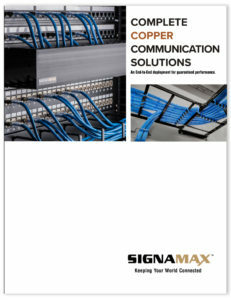 Whether you are implementing a category 6A system, building a category 6 platform, or installing a category 5e network, our copper cabling systems can provide the scope of network configurations that any project demands. All our solutions exceed category-rated performance and qualify for our comprehensive Cabling System Warranty Program. Each category system has been tested & verified by ETL. Follow the links below to the system solution you need.